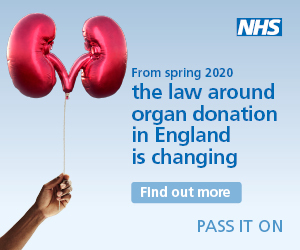 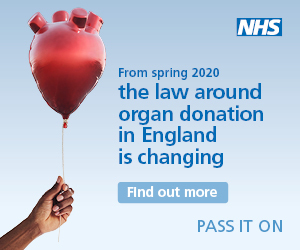 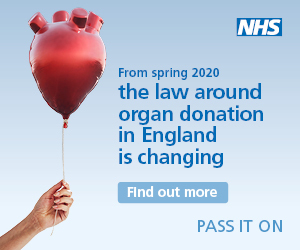 The law in England will be changing from spring 2020 to enable more people to pass on more organs to save more lives. Help spread the word by downloading and sharing our web and email banners. 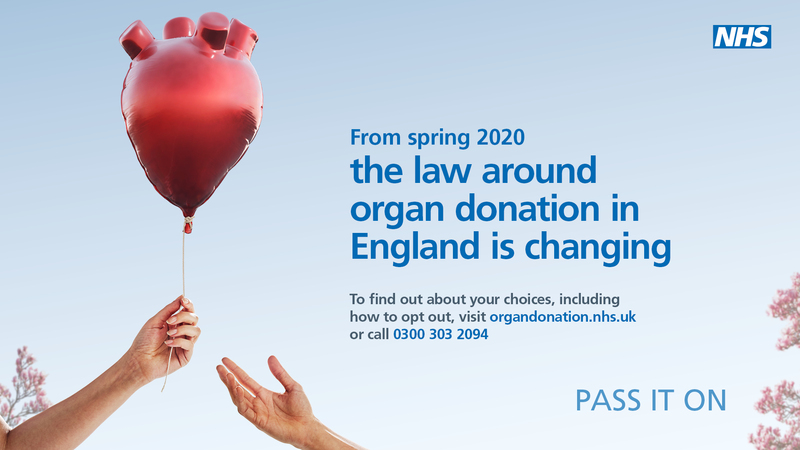 More information about the upcoming changes can be found on the Organ Donation website.